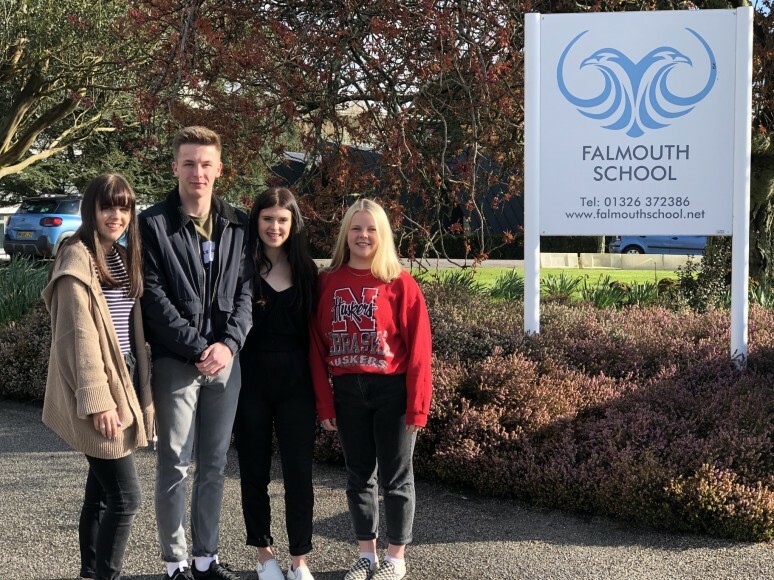 Falmouth College have elected a new Student Presidency Team for 2019/20 after a tough process and some very impressive interviews. With the quality and number of applicants high, it was a difficult decision for the College team which even saw the creation of a new role. The final decision saw Emma Crisp appointed as the new President, deputised by Finlay Wood. Maddie Brown was appointed Environmental Officer and there is also a role for Issy Millar, who was appointed Well-being Officer following a strong interview. The new team will begin their tenure when students return from the Easter Holidays on Tuesday 23 April, taking over from the current team of Sam Holland (President), Hannah McMillan-Pardoe, Millie Revell (Vice Presidents) and environment lead Jack Pentecost. There will also be the annual ‘handover lunch’ on Wednesday 24 April. Head of Falmouth College Dr Matt Fox spoke of how the candidates stood out during the interview process. “All four students who were appointed impressed the interview panel with their ideas and enthusiasm. We’re really looking forward to working with them to continue to make Falmouth College an excellent community and environmentally friendly place to be,” he said.